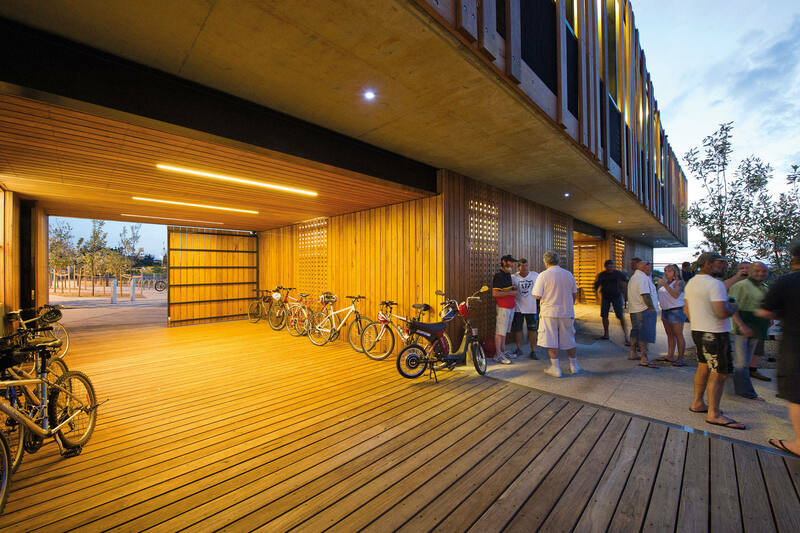 Sandwiched between the busy Nepean Highway and Seaford beach the Keast Park Community Pavilion marks the entry to the broader city of Frankston. 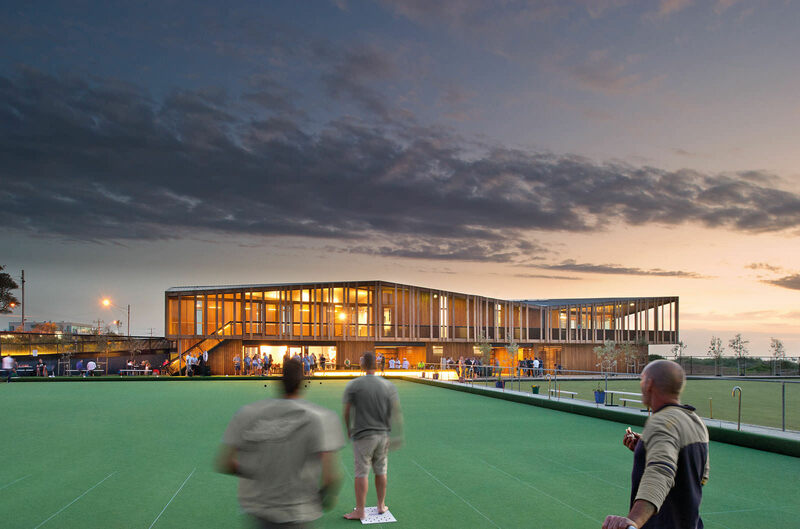 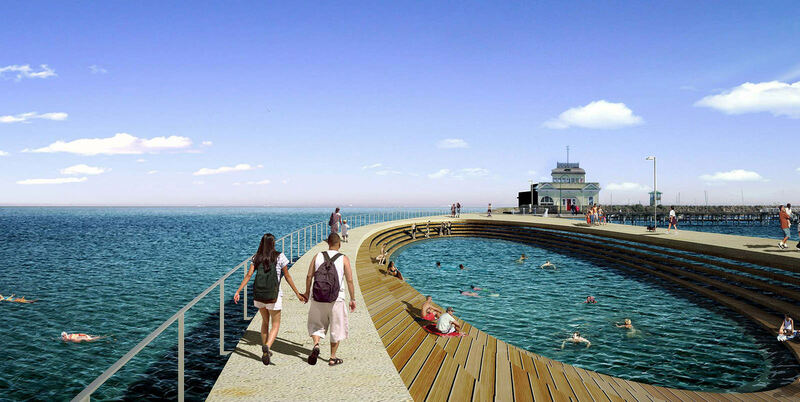 This community building connects the bayside suburb to the beach, encouraging visitors and local residents to engage with the bowls club as part of their daily experience of the site. 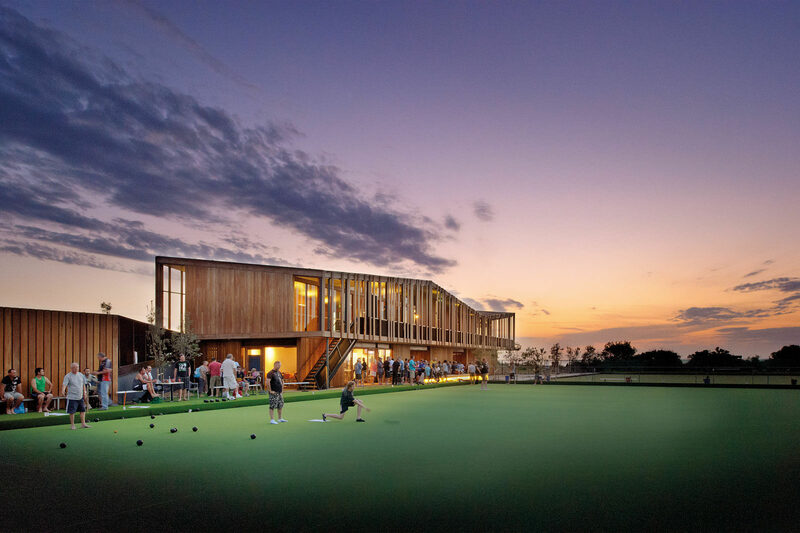 The linear form of its upper level runs from the Nepean Highway forecourt in the east to a cantilevered verandah space in the west, overlooking the beach. 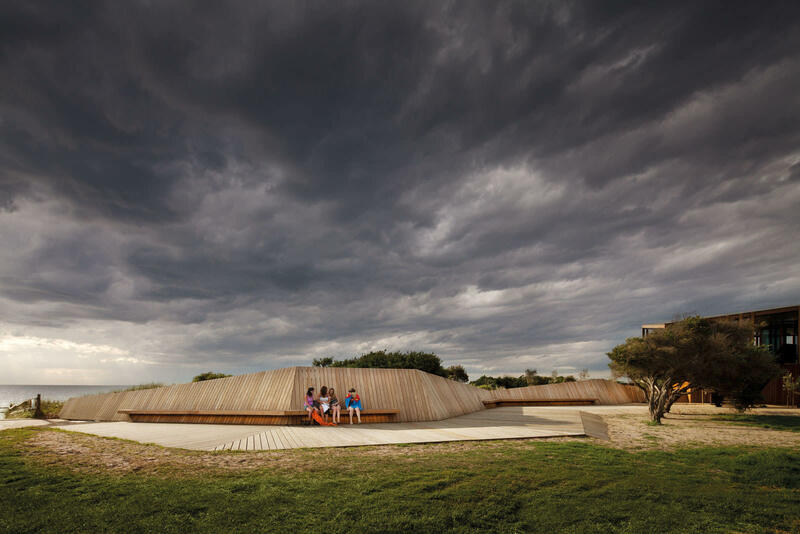 Its sculptural ridgeline recalls the dunes and undulating forms of the local landscape. 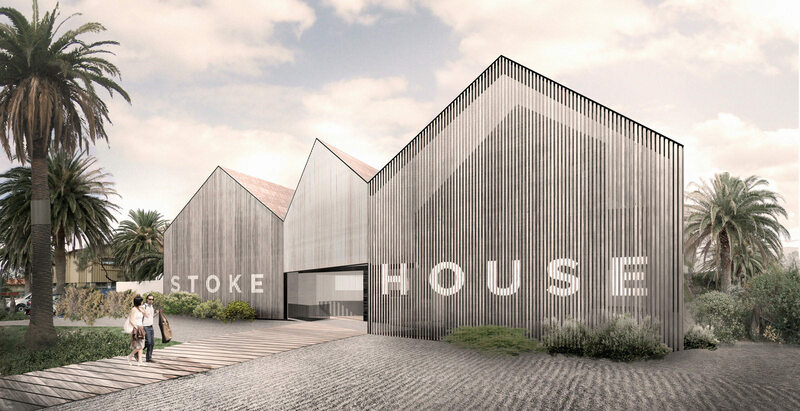 In complementing the building’s coastal landscape form, materials have been selected from sustainable sources where possible, including plantation timber cladding and decking. 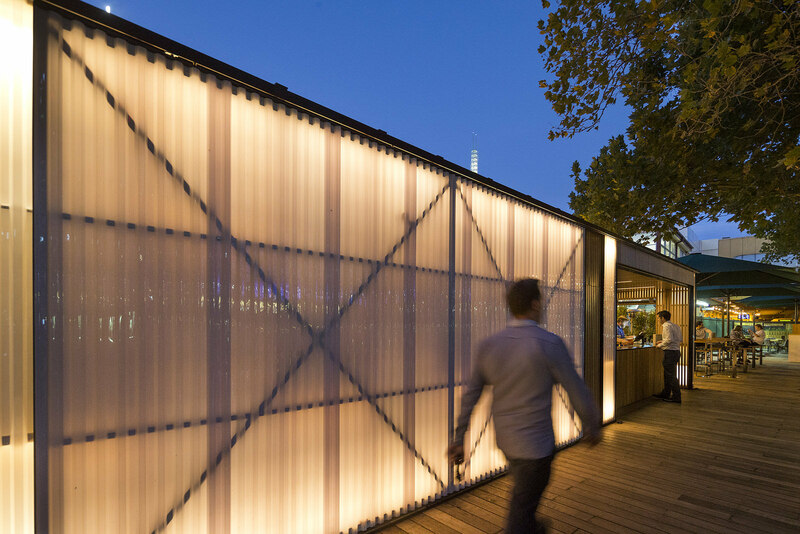 This timber batten exterior combines with a structural frame made of steel and concrete. 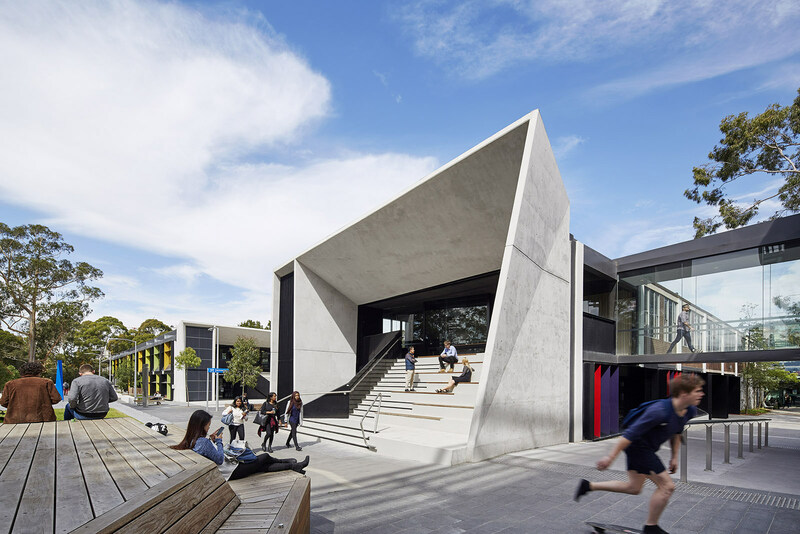 A suspended floor slab on the lower level extends out to be exposed and define the undercroft spaces, which provide shade in summer and wind protection year round.